Behind the walls of the hospitals are patients on healing journeys, supported by a staff of physicians, nurses and technicians. They all stand behind the dreams to find the cures, to end the suffering and do whatever it takes to save lives. 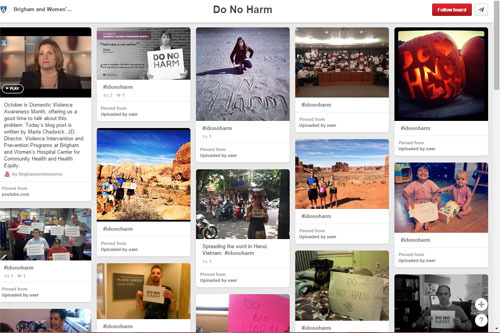 Pinterest, through its use of poignant images, gives hospitals a place and platform to reveal the power of their people on a mission to heal. A health crisis heralds a quest for information. With its instant 24×7 availability, patients and their families turn to the internet to find the latest research, treatment options, and facts. Pinterest is now the third largest social network, as visitors increasingly find themselves pinning medical-related pins filled with facts, data and support. Why Pinterest? Health information can be complex and confusing. Pinterest uses images to break through barriers of literacy, intelligence, and culture to provide quick, accessible information. A PCD diagnosis is confusing and frightening, but light comes from the knowledge shared on these pins. Or to take the mystery out of how your family health history impacts your health today, how to pack for your hospital stay, or cancer survivor stories. The power of story, images and facts can be seen on this emotionally-charged board by Brigham and Women’s Hospital Board, Do No Harm. 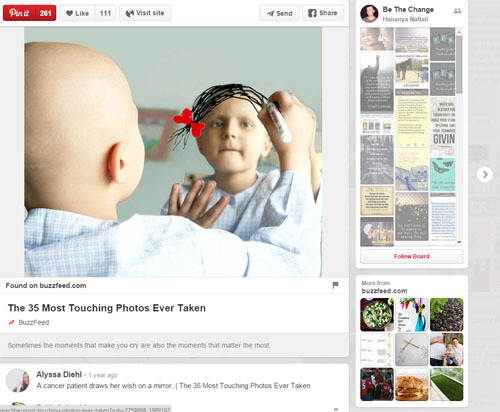 The power of Pinterest lies in the images. Research from 3M indicates that people process visuals 60,000 times quicker than text, while other studies showed that the human brain takes longer to interpret language than images. Nearly 47 million monthly active users in the U.S.
From a marketing tactical standpoint, it only makes sense to share information where the audience already exist and is positioned to share. 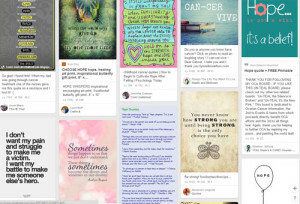 The question isn’t whether hospitals should do Pinterest, but how to use Pinterest strategically to encourage re-pins and followers. What is our story and how do we want to tell it? 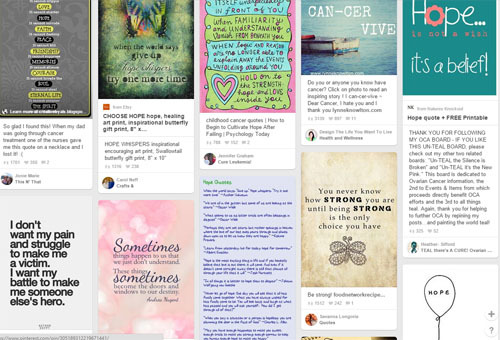 What audience/s should we be engaging on Pinterest? What kinds of content/images are most likely to be re-pinned or shared? How can we optimize our content for pinning? 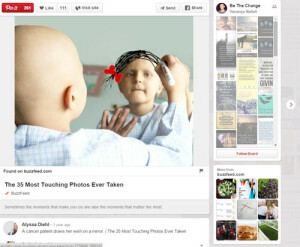 How are we evaluating our Pinterest efforts? Based upon the current levels of medical-related Pinterest boards, Pinterest is being used to fill the needs of patients at every stage of their healthcare journeys. Patients are already actively searching for relevant healthcare information, starting with the pre-diagnosis phase, throughout the treatment and even after completion of care. Hospitals can help improve the current availability of patient education, while providing them with accurate information they want to solve the problems they face. the camaraderie and comfort needed. 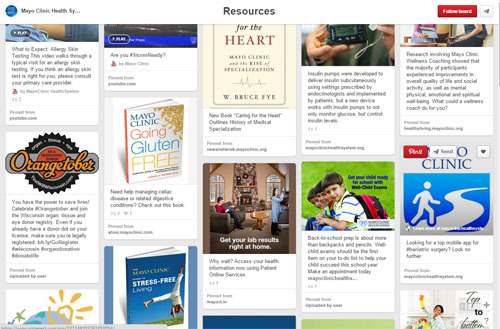 How can you optimize your pins to help reach and support your patients?